Hurricane Irma surface winds from NASA SMAP on September 5th, category 5. SMAP winds are processed in Near Real Time at RSS (6-8 hr latency). 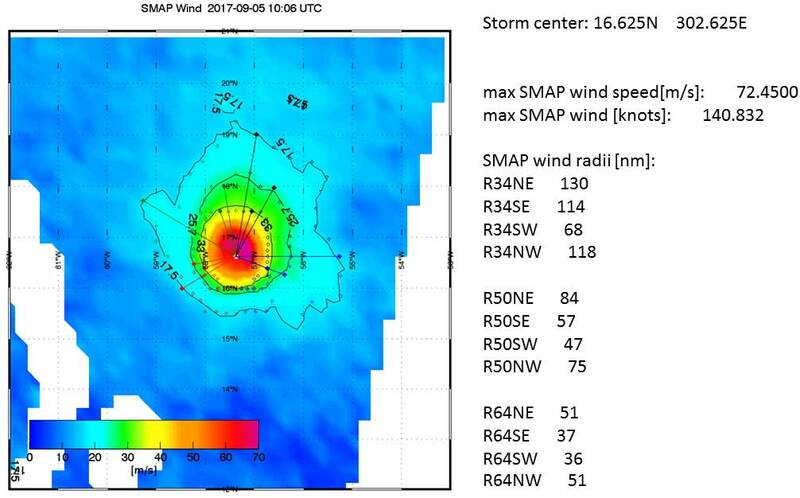 The storm center (white dot ) was visually detected and storm radii for the 34, 50, and 64 knots were determined from the 80th percentile of wind radii in each quadrant. These data are provided for verification purposes.